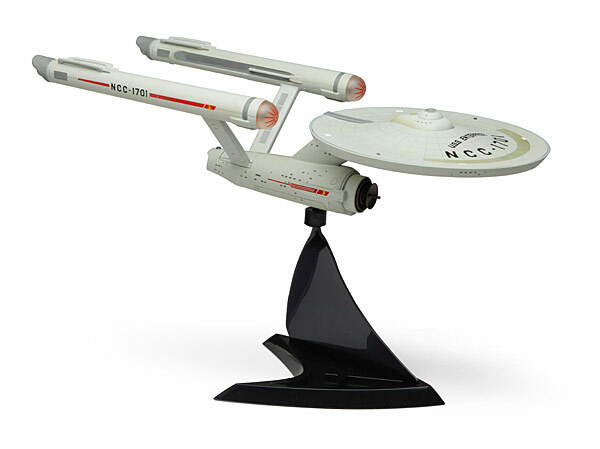 You probably already have an Enterprise sitting on your mantel, but I bet it isn’t “HD”. 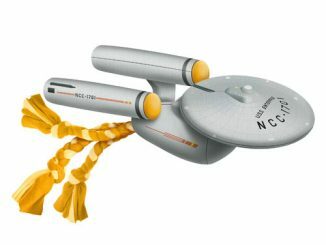 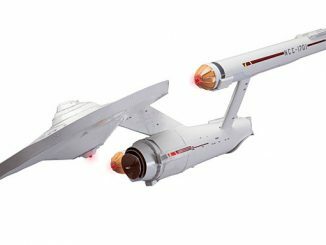 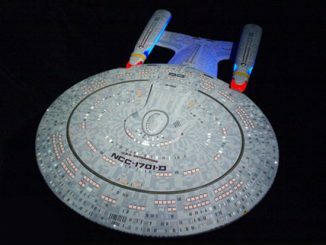 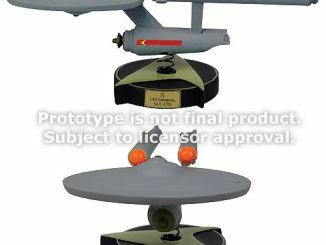 This Star Trek TOS Enterprise 1701 HD Ship is a 16″ Star Trek Enterprise replica with lights and sound effects. 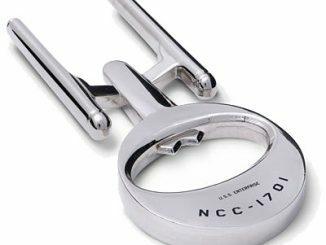 It also has High-Definition details that are screen accurate. 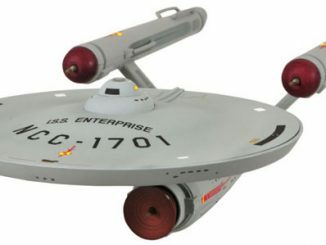 It is super nicely detailed. 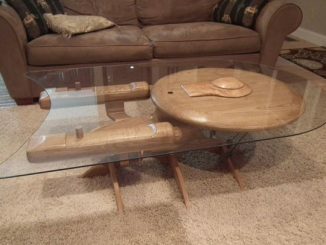 This is likely the best Enterprise you can buy. 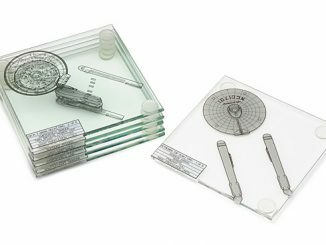 Dimensions: 7.6” H x 5.2” W x 16.8” D, 1.6 lbs. 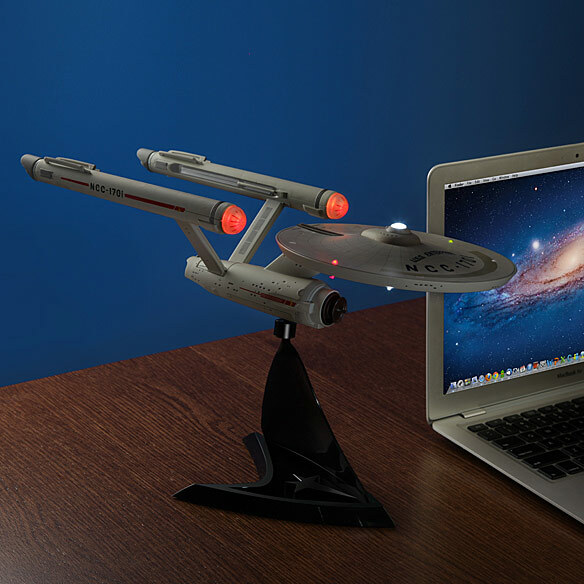 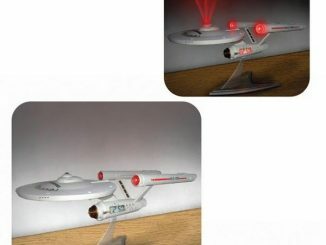 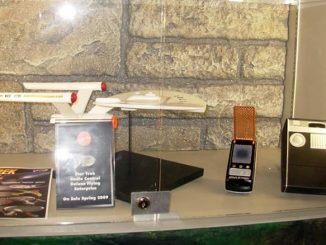 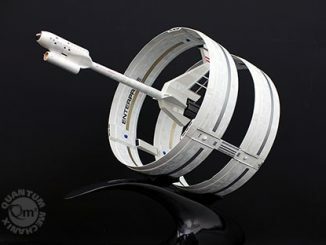 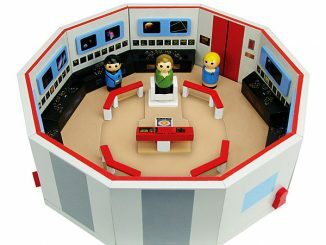 QUESTION: How do I buy that model of the Starship Enterprise?